Fraternal rock bands Arctic Monkeys and Queens of the Stone Age topped the bill and grabbed the plaudits at this year’s Corona Capital Festival in Mexico City. Staged in the spacious Autodromo Hermanos Rodriguez complex, the event boasted a killer lineup, scorching weather and a large but not endless supply of Corona beer (unforgivably, one of the bars ran out before Arctic Monkeys had even taken the stage). First up was Jake Bugg, a young folk singer from Nottingham whose lively country rock songs were perfectly suited to chilling in the sun with an ice cold pint of Corona. He was soon followed by the Wirral riddler, Miles Kane. It’s maybe a little harsh to say Kane has made a career out of being mates with Alex Turner, but it certainly seems that way at times. The former-Rascal is probably best known for collaborating with Turner in the Last Shadow Puppets, a 1960s-style side project which has produced just one album to date, 2008’s excellent The Age of the Understatement. Kane also plays on a couple of Arctic Monkeys tracks and frequently joins the band for live performances of set closer “505.” Despite hardly being a household name, this means he can make the unlikely claim of having twice performed in a headline set on Glastonbury’s legendary Pyramid Stage. He’s now released two decent but unspectacular solo albums filled with retro 1960s Britpop. 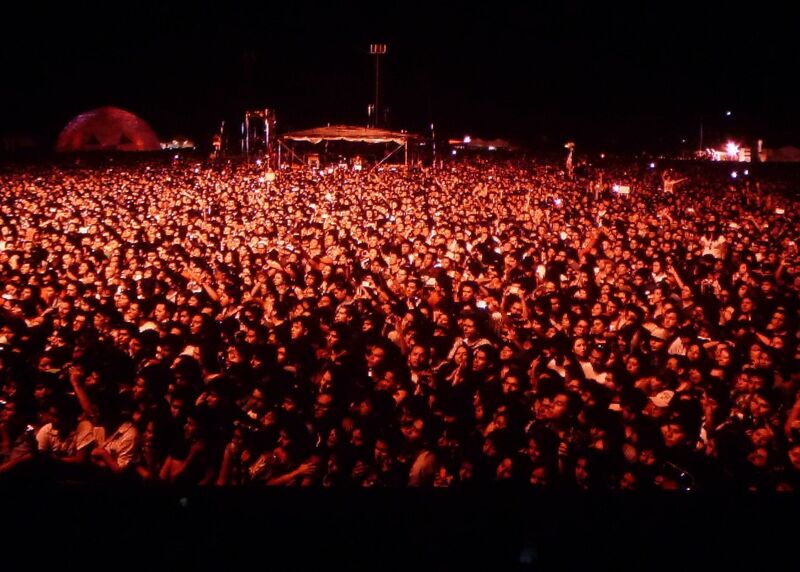 Although catchy new single “Don’t Forget Who You Are” had been getting some airplay on Mexican radio, the size of the crowd he drew at the Corona Capital was still slightly surprising, as Kane appeared on a bigger stage than the rammed John Peel tent where he’d played at this year’s Glastonbury Festival. Kane came out clad in white trousers and an iconic green Mexico football shirt and proceeded to run through a well received set which drew heavily from his new album, with a few choice cuts from the debut thrown in, but none of the Last Shadow Puppets material. Once Kane departed, it was time to see his long-time collaborators, Arctic Monkeys, who are riding an incredible wave of momentum right now which has seen them reclaim their crown as Britain’s biggest band. When the Monkeys gave a triumphant headline performance at Glastonbury in June, it seemed like their careers might just have peaked. After all, where do you go after topping the bill at the world’s greatest festival for the second time in just six years? Well, to Mexico obviously. But since that stunning set in Somerset, Arctic Monkeys have ballooned into an absolute juggernaut, thanks to their astounding new album AM. Rarely do bands release their best album at the fifth attempt, but with this record Arctic Monkeys might have done just that. Bestselling debut Whatever People Think I Am, That’s What I’m Not still has its proponents, as does the slick follow-up Favourite Worst Nightmare, but AM arguably surpasses them both. It is a more diverse, ambitious and sophisticated record than either, combining 1970s rock with G-funk rhythms and a few choice ballads in the mould of Turner’s underappreciated Submarine soundtrack. There is not a bad track or an ounce of filler on the album, while Turner’s sleazy yet poignant poetry infuses each song with a healthy dose of emotion. Live, the highlights are the rhythmic opener “Do I Wanna Know,” the Sabbath-inspired “Arabella” and the rifftastic monster “R U Mine?” Add a few classics like “Cornerstone,” “Brianstorm,” and breakthrough hit “I Bet You Look Good on the Dancefloor” and the band have an enviable setlist that no artist their age could compete with. There were only two disappointments. The first was that Queens of the Stone Age frontman Josh Homme did not make a guest appearance on “Knee Socks,” despite singing on the studio version and being onsite during the Monkeys’ performance. Instead, the only “surprise” was Kane duly coming onstage to add his guitar magic to the traditional final song “505”. The other let-down was not hearing more of the new album. Curiously, AM highlights “Fireside,” “I Wanna Be Yours” and even the superlative “Number One Party Anthem” were absent at the expense of the inferior “Crying Lightning” and a number of album tracks from Favourite Worst Nightmare. Appropriately, Arctic Monkeys were followed by the man responsible for their transformation from a spiky Sheffield indie band to leather-clad, motorcycle riding, L.A.-based rock stars: the aforementioned Homme. Queens of the Stone Age have been the single biggest influence on Arctic Monkeys ever since their inception. When they first started rehearsing in Turner’s garage, the lads learned their instruments by playing along to Queens’ seminal 2002 album Songs for the Deaf. 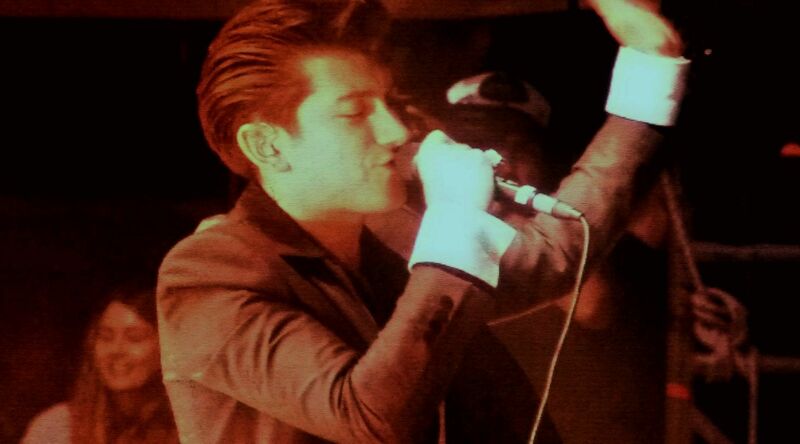 They then met Homme while on tour and he would go on to produce their desert-rock influenced third album Humbug, which may have alienated a portion of their fanbase, but also proved essential in their progression as a band – enabling them to evolve into an outfit so far removed from their indie constraints that they not only feel comfortable fusing Dr. Dre and Black Sabbath, but pull it off with greater aplomb than any of their contemporaries could even imagine. Queens are one of the tightest live bands around and their headline performance did not disappoint. Their 18-song set featured material from all six albums, including “Mexicola” from their 1998 debut, in honour of what was their first ever show in Mexico. That song was not the most inspiring of the new material, but thrilling renditions of the funky “Smooth Sailing,” its strutting cousin, “If I had a Tail” and the haunting but uncharacteristic ballad, “…Like Clockwork,” proved far greater showcases of both Homme’s songwriting ability and the band’s virtuoso musicianship. The gig ended with an extended version of “Better Living Through Chemistry,” classic single “Go With The Flow,” and powerhouse encore “A Song for the Dead.” On this evidence, it was clear that Queens remain the best purveyors of hard rock around, yet you sense that their slightly limited sound means their loyal and sizeable fanbase is unlikely to ever expand much further. Homme’s young British apprentices, on the other hand, have now become the masters and look ready to scale even greater heights. The Corona Capital crowd was enthralled by their performance, with guitarist Jamie Cook later likening the band’s reception in Mexico to Beatlemania. A lofty comparison perhaps, but five records in, Arctic Monkeys have already conquered all in their path and consolidated their position as the band of their generation. Now they just need to make their Sergeant Pepper’s.